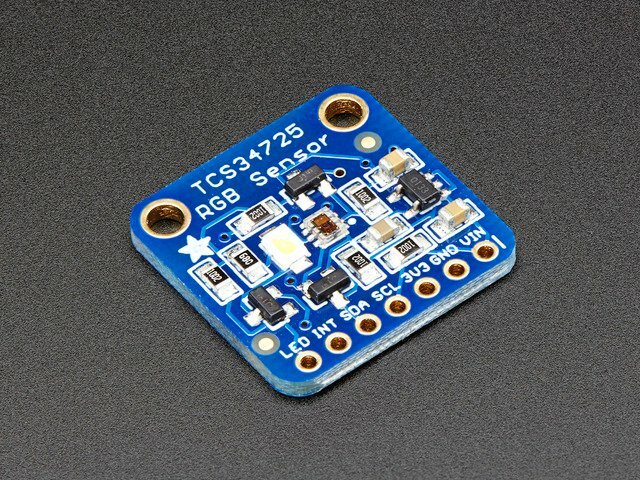 Run the TCS34725 test sketch to verify that your sensor is working properly. Upload the sketch to your Aruduino or Flora and open the Serial Monitor to see the output. The sketch should print out basic color measurement parameters as shown below. Move the sensor around, cover it and/or expose it to different light sources to see how it reacts. The ColorView sketch demonstrates reflected-light measurement using the on-board led. 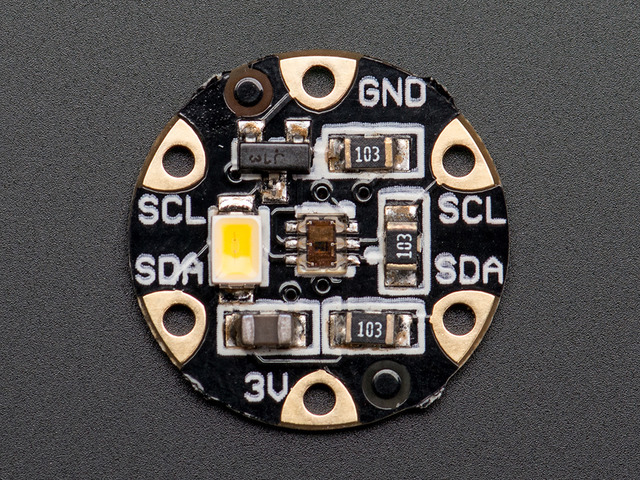 The white led is used to illuminate nearby objects and the sensor measures the light reflected from the object. The ColorView sketch then uses the RGB outputs of the sensor to drive an RGB led to match the color that is seen by the sensor! 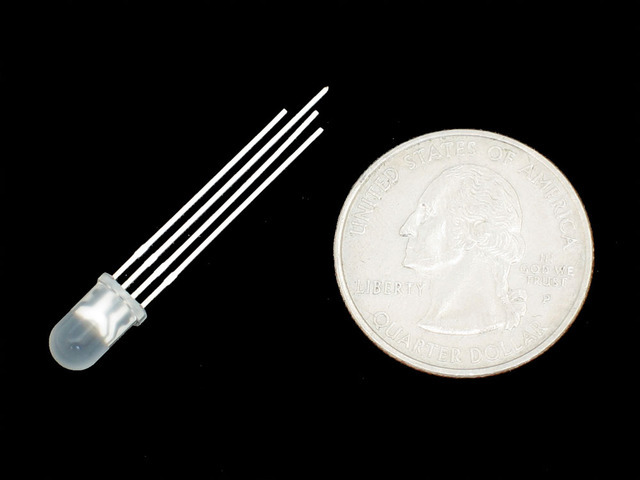 LED common anode (long pin) -> 5v. Upload the ColorView sketch to your Arduino, then place different objects in front of the sensor. The LED color should match the color of the sensed object! This guide was first published on May 21, 2013. It was last updated on May 21, 2013. This page (Arduino Code) was last updated on Apr 20, 2019.